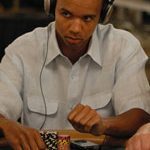 The modern breed of internet poker player accepts the fact that he'll move all-in many times throughout the course of a tournament. That hasn't always been the case. It used to be considered an art form to win a tournament without having to shove all your chips in the middle. One big reason for the switch in playing styles is internet poker. 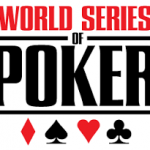 Internet players have successfully addressed the all-in play from a mathematical perspective. For example, it's fairly common to see a net player move all-in over the top from the big blind with a hand like K-Q when they have less than twenty big blinds remaining. And for good reason — it works! But this same style of play doesn't apply in the real world of brick-and-mortar poker. Why? Because you have to consider reads, tells, the frequency of opponents' pre-flop raises, table image and more. 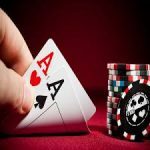 Proficient US online poker players are convinced that since mathematical solutions work on the internet, the same solutions will apply in the real world. So when a player (like me) raises it up with pocket nines, he'll be forced to call an all-in reraise from a player in the big blind. And you know what? He'll likely be ahead. No limit Hold'em tournaments have suddenly become all about sheer aggression, winning coin flips, and applying mathematical solutions to the game. That's because new school players think nothing of shoving in thirty big blinds worth of chips with A-J offsuit! So what if their opponent calls them once in a while with K-K. They figure that their opponent will fold pre-flop often enough for their shove play to be profitable. Another thing, getting a solid read on an opponent just isn't as important now as it was in decades past. Now, that's not to say that reads aren't still a huge part of the game. But even with a good pre-flop read you can still end up putting yourself at risk. Look, when a player shoves with K-Q from the big blind, and you know that's what they have, you're still only a moderate favorite when you have 9-9. Shoving with K-Q is a tactic that does work well for internet players and weak players. In the old days, though, grizzled pros would have eaten up those guys by utilizing the traditional, more conservative style of poker that emphasizes play on the flop. 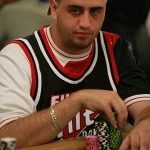 That type of logic forces experienced pros to play big pots and acts to neutralize some of the skill factor in the game. The more I've pondered this new approach to the game, the more I believe that I need to stay with my super-tight style of play and continue to utilize the over the top tactic. When my opponents aggressively reraise my opening bets and I respond by making the call or moving all-in, you can be sure that I'll be way out in front. You just can't minimize the importance of the over the top move. That ploy works for me around 75% of the time. Bottom line: Narrowing my opening hand range and coming over the top when I have a solid read or a strong hand will get me deep in some big poker tournaments soon!